You have not heard from us in a while and may be wondering what we have been up to. The answer is research, learning and visiting. After few busy months of training here in Mkushi, we took to the road to visit some friends and learn what other Foundations for Farming farmers are doing. Between our team, we have visited almost every province in Zambia to see our friends who are interested in becoming Centres of Excellence. 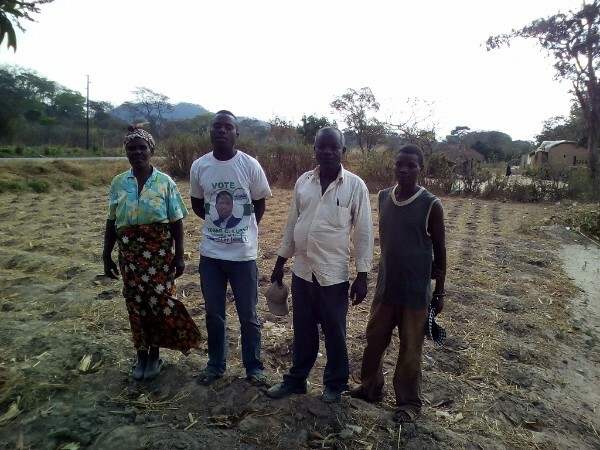 This is important to us, not just for the relationship with fellow farmers, but also because having more Centres of Excellence means trainings can happen all over Zambia and reach even more small to medium scale farmers! Please continue to pray with us for these centres as they get started and prepare demonstration plots. Timeliness is very important and every operation that we do should be done at the correct time and in the correct season. Ecclesiastes 3:1-2 says, ‘There is a time for everything, and a season for every activity under heaven: a time to be born and a time to die, a time to plant and a time to uproot…’ God has given us time and He has measured it for us in the way the earth and the solar system were created. Plants need sunlight to grow through the photosynthesis process and on this day there is the longest and most intense sunlight. Plants need warmth to grow and on this day we have the greatest likelihood of the most warmth from the sun. Plants need water to grow. On this date, as a result of the warmth, there is the greatest likelihood of evaporation from our water surfaces. This means that there is a greater likelihood of water build up in the clouds for rainfall to occur. Finding the optimum planting date for your specific crops, for your geographical region, is very important. 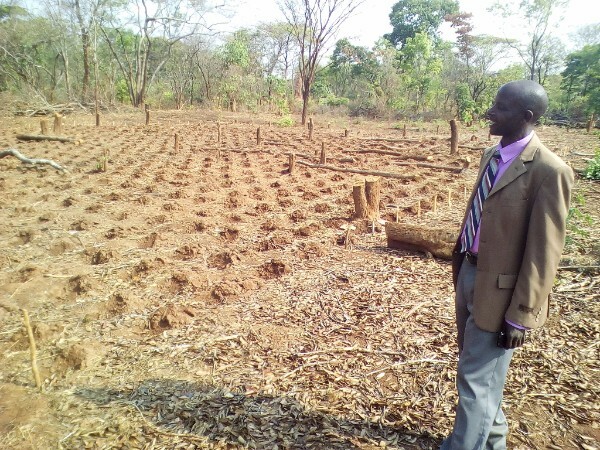 In Zambia, for example, the 15th November is the optimum planting date for maize so that your plants will be just below knee-high on the 22nd of December. This is the ideal size for the plants to take advantage of the best growing conditions, just before the period in the plant’s life cycle when there is the most vigorous growth and expansion of the crop. The loss of yield, which we can incur as a result of missing this deadline, is startling! For every day that we plant late after the 25th of November, we lose 120kg per hectare per day of our potential yield. As we can see teaching timeliness is so very important! Let’s not waste the opportunities that God so freely gives us in His natural creation. 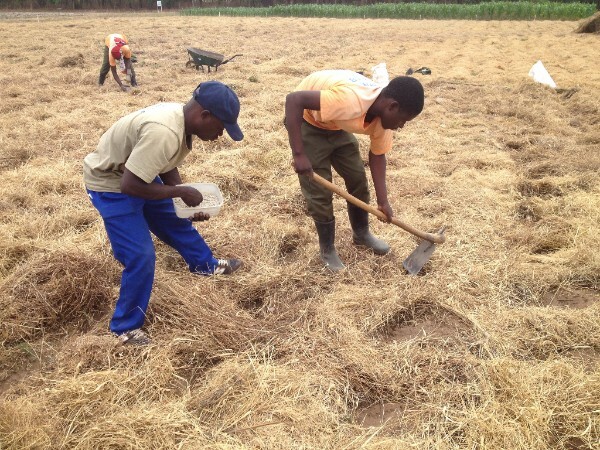 Remember, farming is a 12-month endeavour, time is not redeemable, and so as farmers we should use every moment in the season to glorify God and fit our farming operations into His timetable. As you heard in our last update, Foundations Groups were trained in July/Aug and then sent back to their communities to begin their group meetings. Each group has 9 to 12 members and meet every week to two weeks. The meetings consist of a bible study and practical farm work done on a group demo plot. In between meetings, group members apply their new knowledge to their own fields. All of the groups have started meeting and some have already dug their holes in preparation for planting maize. Pray with us that all of these fields will shine, be a testimony to God’s ways, and the Gospel will continue to spread in these communities.